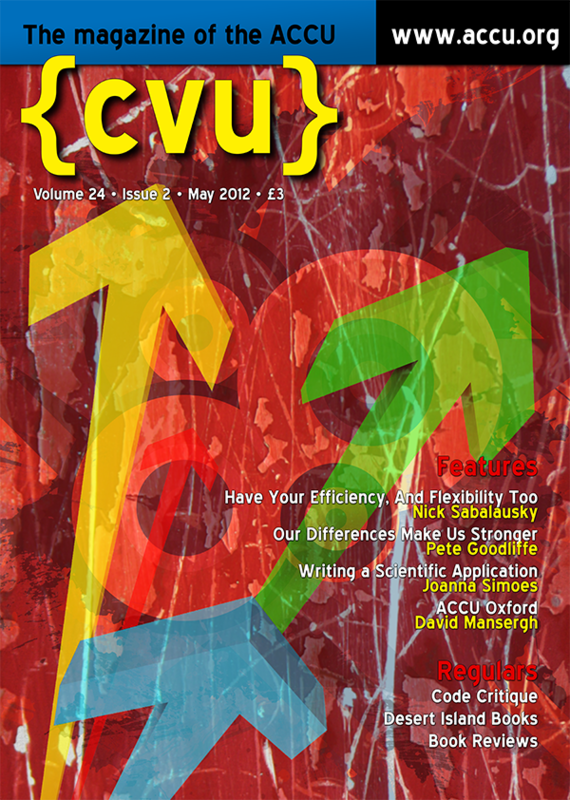 The May 2012 C Vu magazine is out now - it contains my latest column, Our Differences Make Us Stronger. This is the second part of my discussion of how a development team must interact with the QA department to craft excellent software. Find out more details from the ACCU website.